a family business with tradition and experience. The history of Norbert Kordes speaks for itself. Since 1955, our company has been successfully working on guaranteeing the high quality of our products and the highest levels of customer satisfaction. Read our timeline for a vivid picture of our corporate history and the personal dedication of everyone involved, on which over 60 years of Norbert Kordes’ success is founded. 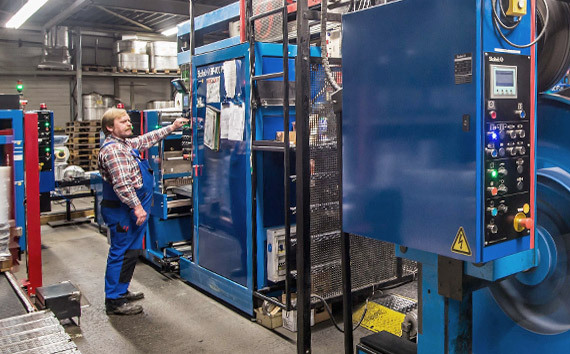 Kordes starts producing flexible cables and ready-made connecting leads in Uslar-Sohlingen. 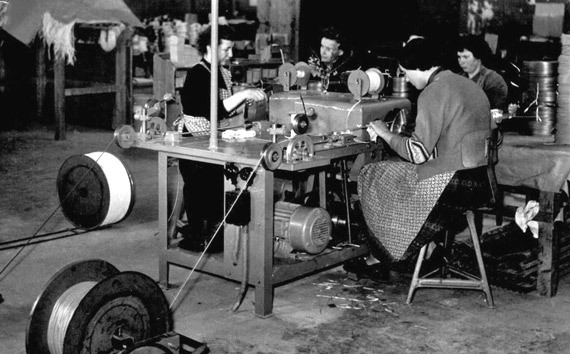 Women at work on Kordes’ first final product inspection. Purchase of the Sohlingen site. Kordes begins manufacturing installation cables. The Sohlingen plant with factory buildings, administration and residential blocks, early 1960s. Kordes purches the Lindau plant at auction and relocates the production of installation cables. The company also invests in the first wire drawing machine. 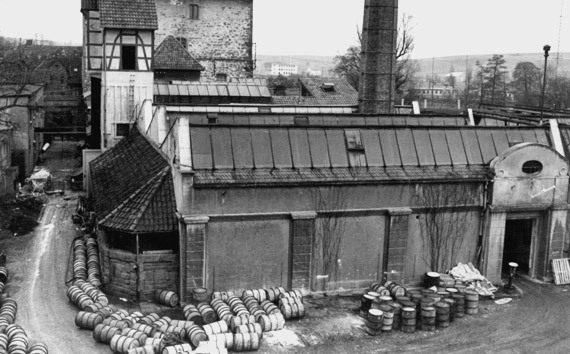 Factory yard of the Lindau plant before its alteration and commissioning by Norbert Kordes. 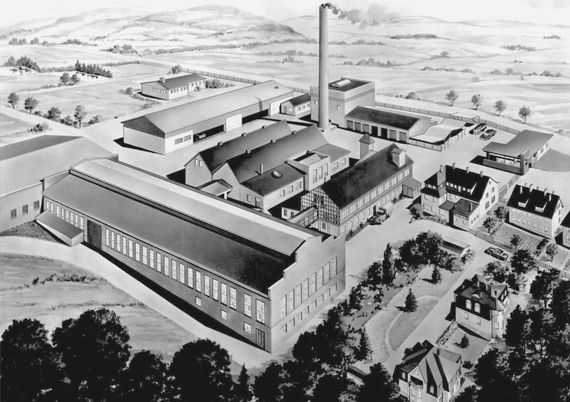 The production of flexible cords with injection-molded plugs begins at the newly operational Offensen plant, and successfully continues until 1975. 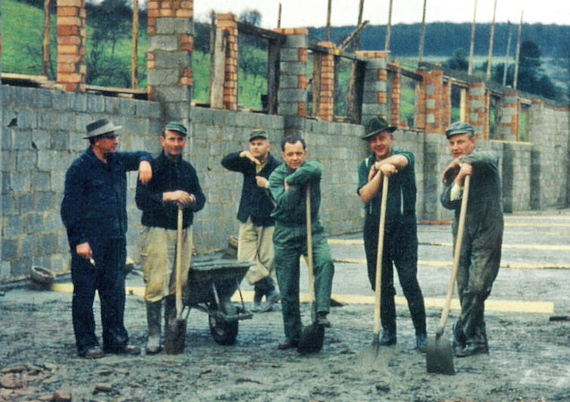 Norbert Kordes (l.) with his brothers and employees at the construction site of the Offensen plant. At its peak, the company employs a regular staff of 369. In 1970, total wages amount to 602,922 working hours; 13.9 kg of product are manufactured for each paid hour. The problematic nature of labour-intensive manufacturing in Germany forces Kordes to abandon the production of ready-made cables. Cast wire rod is used instead of rolled wire. 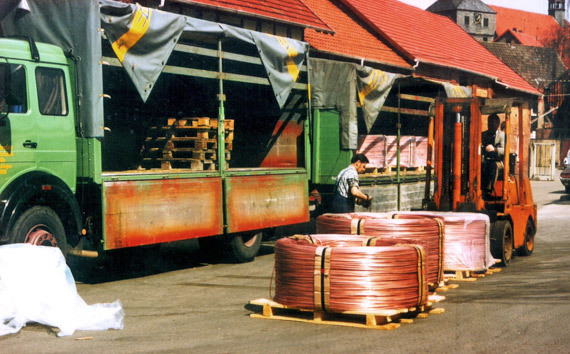 Delivery of cast wire rod in one of the company’s trucks. The first computer system is bought! Productivity per paid hour has almost doubled since 1970. Kordes celebrates its 25th anniversary. The first multiple wire drawing machine goes into operation at the Sohlingen plant. In Lindau, the production of PVC granulate is switched from bagged to silo materials, and to an automatically controlled preprocessing. 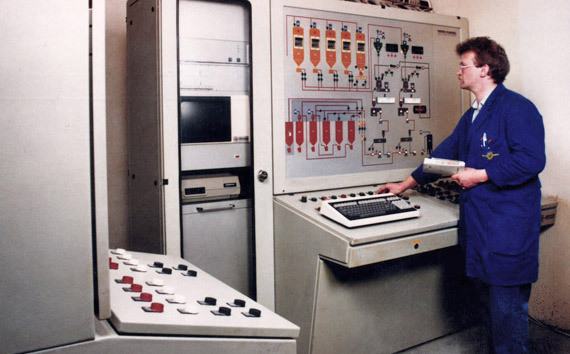 An employee at the control panel of the automated PVC preprocessing facility. The number of employees falls, the number of paid working hours is half that of 1970, but productivity per man-hour quadruples. Kordes invests to a hitherto unprecendented extent: in a second multiple wire drawing machine for the Sohlingen plant, and in PVC preprocessing in Lindau. Good operational profits result in the payment of bonuses to employees. 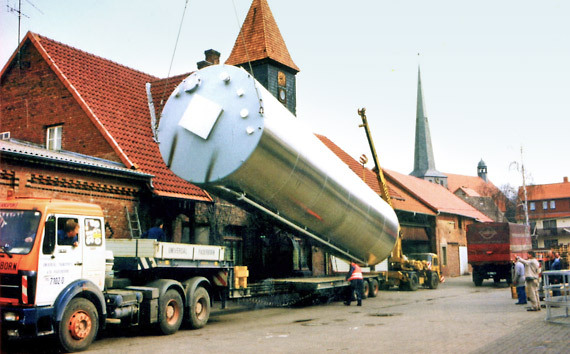 One of the new silos arrives at the Lindau plant. 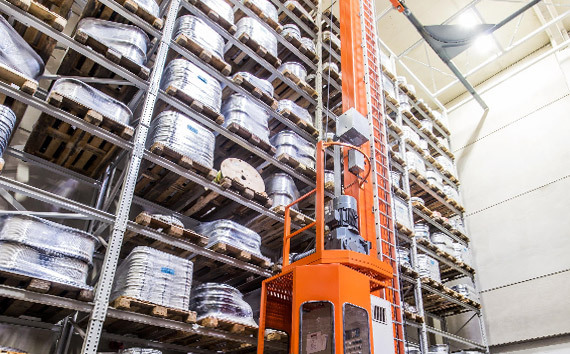 More investment, this time primarily in logistics: Kordes builds a fully automated high-rack warehouse and optimizes the production process. The storage and retrieval system in the high-rack warehouse. A radical overhaul of the computer system and the subsequent implementation of new corporate software. The product range is increased, with emphasis given to halogen-free cables. Modernization and expansion of the machinery, commissioning of a fully-automated drum winder, construction of an additional extrusion line and installation of a new copper drawing machine. In 2015, Kordes celebrated its 60th corporate anniversary. We are best placed to meet the challenges of the future.